Take a bunch of nice kids, dump in gobs of fiery Italian seasoning, mix in copious measures of robust Augustinian teaching, and stir gently for four years. That’s the winning recipe that transformed April Fool’s Day 1985 into a feast for underdogs and everymen everywhere. March Madness maddened to the max that year with the crowning of perhaps the NCAA Tournament’s most unlikely champion, the Villanova Wildcats. The most unlikely and perhaps the most liked team ever to win the championship, the Villanova kids won the nation over with courtesy and class more than jump shots and slam dunks. The NCAA final was supposed to be a slam dunk for Georgetown, the defending national champions. But ’Nova never buckled under "Hoya Paranoia," the fear factor that paralyzed most Georgetown opponents in the John Thompson era. Paternal coach Rollie Massimino drilled commitment, loyalty, and honor into his "family" as much as Xs and Os. The result was a poised, disciplined, and undaunted quintet who played what some have called the perfect basketball game in which they sizzled the cords with unprecedented 78.6 percent shooting accuracy. Wildcat icon Ed Pinckney, along with teammates and other members of Coach Mass’s "family," relates the tale of how "Villa-nowhere," as the ’Cats were dubbed before April 1, fooled the whole world. 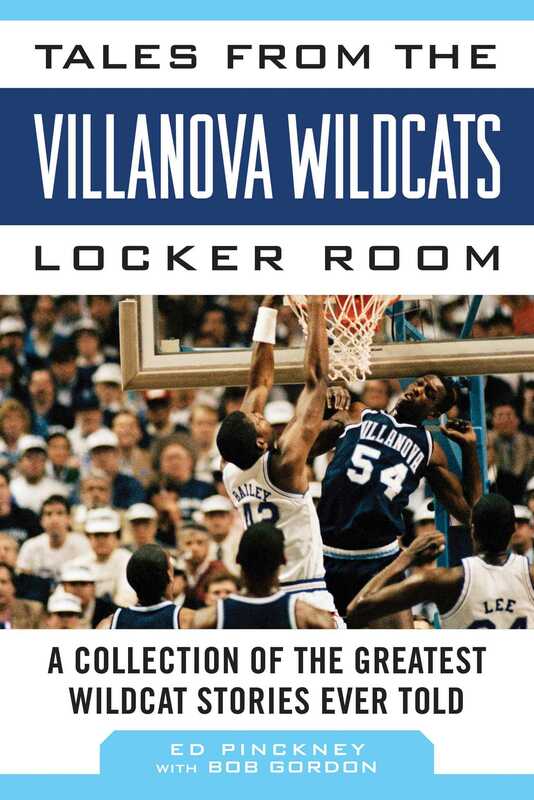 This reissue of Tales from the Villanova Wildcats Locker Room is a perfect gift for fans of Villanova basketball!